Practice giving the energy of love to yourself and each person who passes your path. 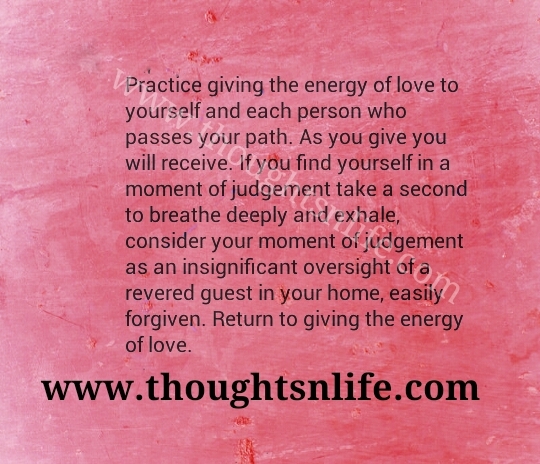 Practice giving the energy of love to yourself and each person who passes your path. As you give you will receive. If you find yourself in a moment of judgement take a second to breathe deeply and exhale, consider your moment of judgement as an insignificant oversight of a reversed guest in your home, easily forgiven. return to giving the energy of love.